... men were still dying. 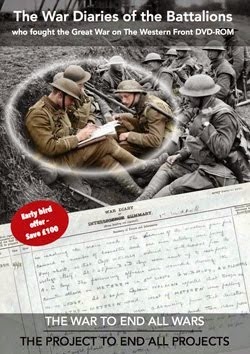 On the 12th November 1918, according to Soldiers Died in the Great War, 188 British Army officers and men gave their lives for King and Country. 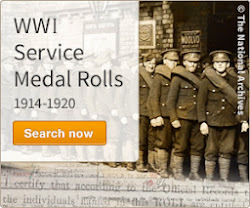 Seventy-six of these men died as a result of wounds received in action and one of those men was 15/477 Sergeant Reginald William Horton of the 15th Battalion, West Yorkshire Regiment. Reginald was an original member of the 1st Leeds Pals who had joined up in the first flush of patriotic fervour in September 1914. Now, with the end of war less than a day old, he had died of wounds. 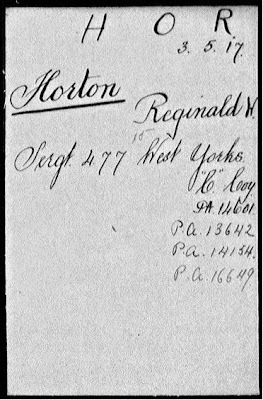 Reginald was born in Leicester and enlisted, of course, in Leeds. He was a casualty on 1st July 1916 and was admitted to a Field Ambulance the following day with a shrapnel wound to his right arm. He must have recovered from this wound and been returned to his battalion. 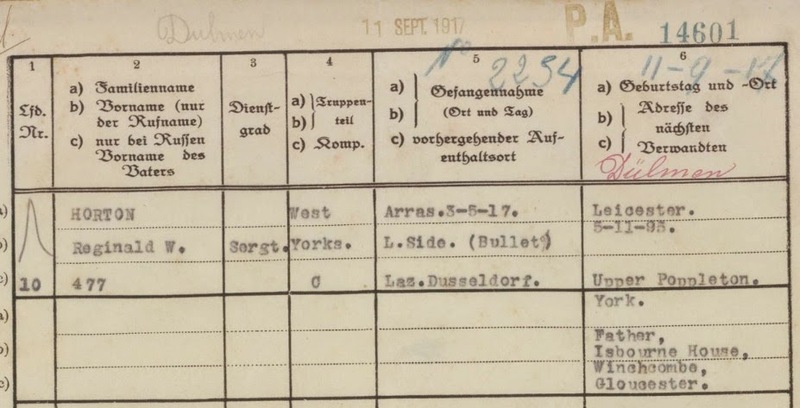 As no service record survives, it is difficult to ascertain exactly what happened, but as he is buried in Berlin South-West Cemetery I assumed he must have been wounded, captured and subsequently died of wounds, just as his erstwhile comrades in the prison camp would have been celebrating the end of war and their impending liberty. 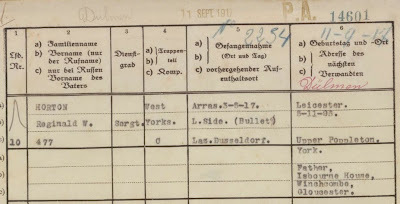 Fortunately some PoW records do survive with the International Red Cross and from these we can see that Reginald was wounded at Oppy, Arras on the 3rd May 1917, receiving a bullet wound to his left side and back. He spent time at Limburg PoW camp (from 11th August 1917), Hameln (from 27th August) Dulmen (from 11th September), and finally Doeberitz (from 24th November 1917). The summary card of his incarceration also notes that he was serving with C Company of the 15th West Yorks. 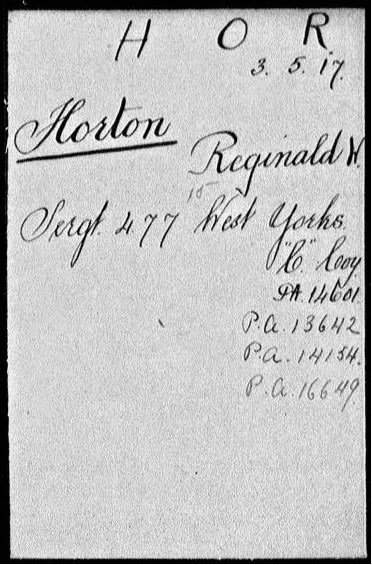 No age or next of kin details for Reginald appear on his entry in the Commonwealth War Graves Commission's register but I think he is the same Reginald W Horton who appears on the 1911 census, along with his 22-year-old sister Constance, as the 15-year-old nephew of Harriet Seddon, a widowed headmistress living at Bettesworth House, Upper Poppleton, Yorkshire. 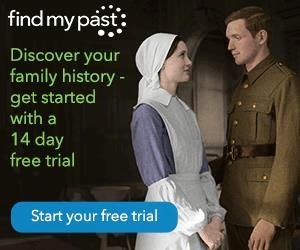 This would mean that Reginald was probably only eighteen, or at best nineteen, when he joined the Leeds pals in September 1914. 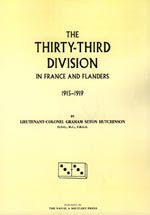 I could not find Reginald's name listed in the Leeds Book of Remembrance, presumably because he was not originally a Leeds man, even though he joined the 1st City Battalion. Nevertheless, I am proud to remember him here. 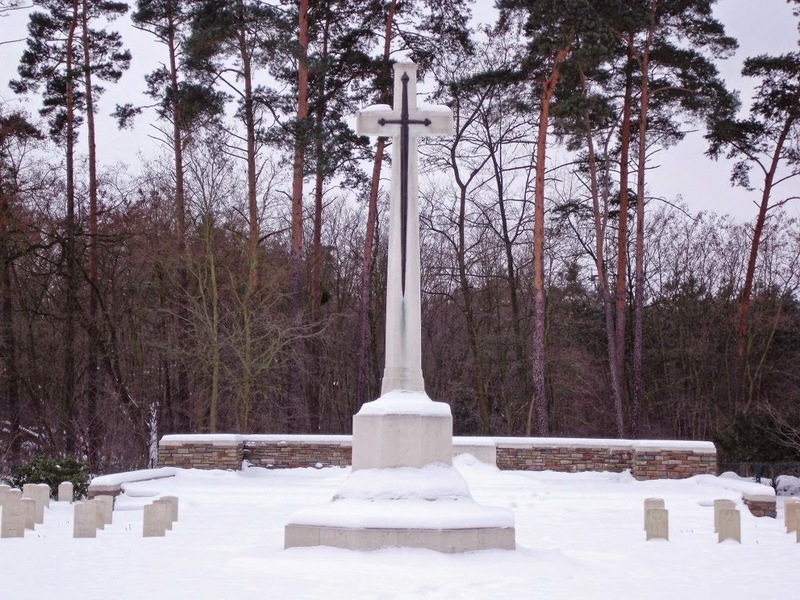 The Cross of Sacrifice image is taken from the Commonwealth War Graves Commission's page dedicated to Berlin South-West Cemetery.